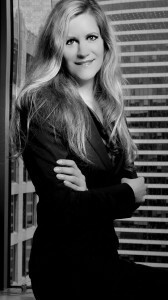 Christine Duhaime is a lawyer and Certified Financial Crime and Anti-Money Laundering Specialist, a certification of the Association of Certified Anti-Money Laundering Specialists. Christine is also a member of the Association of Chiefs of Police, the International Association of Financial Crime Specialists and the Institute of Electrical and Electronics Engineers. Christine is frequently consulted to advise on complex and emerging legal issues in connection with financial crime, terrorist financing and money laundering risk mitigation and compliance. She advises financial institutions, securities brokers, law firms, accounting firms, gaming companies, FinTechs, digital currency companies and regulatory agencies in respect of anti-money laundering and counter-terrorist financing compliance, sanctions and financial crime risks generally and underwriters on transactional due diligence risks related to financial crime. She also provides advice on immigration-related issues and source of funds for investigations, as well as for asset recovery purposes. She also acts for Chinese financial institutions in respect of asset recovery. She is a frequent lecturer and presenter, particularly in anti-money laundering law and terrorist financing, artificial intelligence law, Blockchain and tech, and digital currencies and is frequently interviewed in the media on legal matters related to financial crime, financial technology and financial inclusion issues affecting unbanked populations. She has spoken numerous times in Asia, North America and Europe including at UNCITRAL, the United Nations legal arm, SIBOS, and the Asian Development Bank. Christine has appeared as a legal expert on terrorism, terrorist financing, money laundering, financial inclusion, digital currencies, Bitcoin and financial crime before Committees of the House of Commons and the Senate of Canada. Christine is consistently ranked as one of the Top 100 Women in FinTech, Top 100% Most Influential in FinTech and a Top 100 thought leaders across FinTech, AI and Blockchain and is in the top 5% on Klout. Christine is one of the 50 founding attorneys of the Digital Currency & Ledger Defence Coalition, a global not-for-profit of leading lawyers that supports constitutional rights of Blockchain, ledger and ICO technology entrepreneurs. Artificial Intelligence, Law & Technology, United Nations, December 2016. Politically Exposed Persons & Beneficial Ownership, Corruption Symposium, University of British Columbia, November 2016. Flight of Capital from China, ACAMS, November 2016. Financial Inclusion, and the Refugee Crisis, SIBOS, Singapore, October 2015. The Twitter Terrorist, ACAMS, Toronto, June 2015. Digital Currencies and Legal Risks, Citibank Correspondence Bank Global Conference, Vancouver, June 2015. Terrorist Financing Issues with ATM Networks in Conflicts Zones, Interac, Ottawa, April 2015. 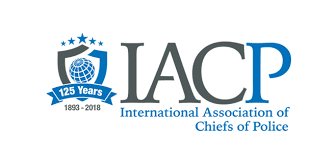 Counter-Terrorist Financing in Post-ISIS Age, ACAMS, New York, March 2015. FinTech Innovations and Digital Currencies, OffshoreAlert, London England, November 2014. Banking Regulatory Symposium, American Banker, Washington, DC., September 2014. 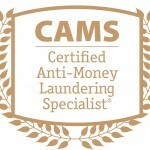 Anti-Money Laundering Law in the Gambling Regime, Canadian Gaming Summit, Vancouver, June 2014. 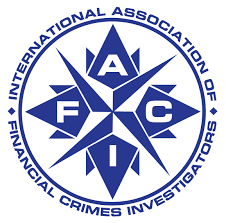 Digital Currencies and Financial Crime Risks, 2nd Annual ACAMS Conference on Financial Crime, Toronto, June 2014. Law and Policy on Digital Currencies with a review of the Canadian Approach, ACAMS Netherlands, Amsterdam, May 2014. Anti-Money Laundering Issues with Digital Finance, panel with several financial crime specialists including Dr. Dirk Haubrich, European Banking Authority, Bitcoin Foundation, Amsterdam, May 2014. Overview of Business & Legal Risks of Digital Currencies, OffshoreAlert 2014 Conference, Miami, April 2014. Digital Currencies – the Legal and Regulatory Landscape, Interac Conference, Victoria, March 2014. Policy Perspectives from Washington, Inside Bitcoin Conference, New York City, March 2014. Emerging Trends in Money Laundering – Bitcoin, Hawalas and Prepaid Access, 10th Annual National Symposium on Money Laundering, Osgoode Hall Law School, Toronto, Spring 2014. Bitcoin, Digital Currencies and Regulatory Regime, Inside Bitcoin Conference, Las Vegas, December 2013. Future of Online Poker Worldwide, IMGL Conference, Oslo, September 2013. Economic and Trade Sanction Compliance, ACAMS Conference, Toronto, 2013.